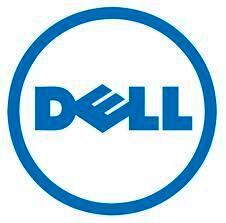 Dell India Recruitment 2013 for freshers engineering graduates for the post of software development analyst for Noida Location. Engineering candidates (B.E/B.Tech) or M.C.A candidates can apply for this job as a software analyst in Dell. Even you’re a fresher but you should have basic knowledge of scripting knowledge of automation tools and softwares, mobile apps, manual testing knowledge, automation testing skills etc. For more details about the recruitment, let you check the details given below. Interested candidates must be a engineering graduate (B.E/B.Tech) or M.C.A. Must be able to work with mobile and web testing environment and tools. Knowledge of manual testing and QA tester with good automation testing skills as well as mobile device automation. Good knowledge of mobile devices as well as mobile apps including iOS, Android. Also must have the knowledge of basic mobile technologies like GPRS, Wi Fi, Bluetooth etc. Interested and eligible candidates can apply for this job online. You can apply online using the direct link given below but ensure about all the criteria and skills required before applying and you can read more details on the given link below. All the very best and keep visiting our website for more job updates and results.